Planning for today’s changing workforce is critical: with fewer people entering the workforce and a shortage of certain skills, retiring Baby Boomers can leave organizations with a critical skills deficit. 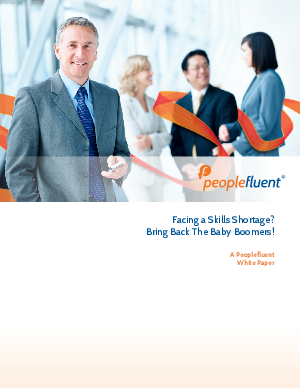 Taking a proactive approach to recruiting and retaining Baby Boomers can help you close the skills gap and secure the talent you need while advancing the skills and retention of younger workers. Read about the opportunity presented by this valuable workforce segment and tools and strategies to leverage Boomers for competitive advantage.